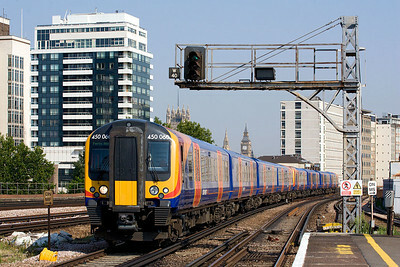 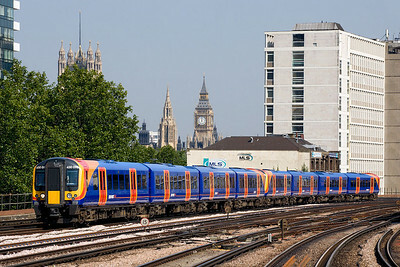 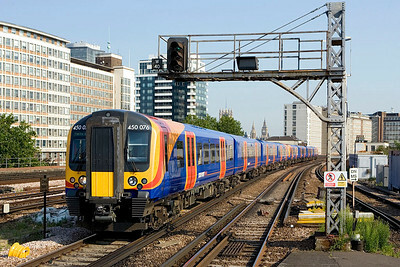 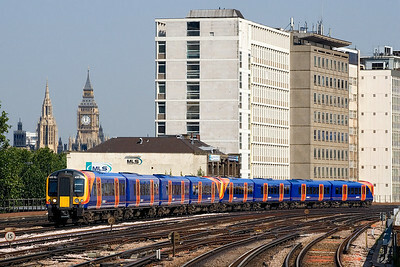 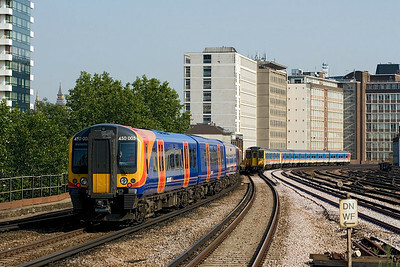 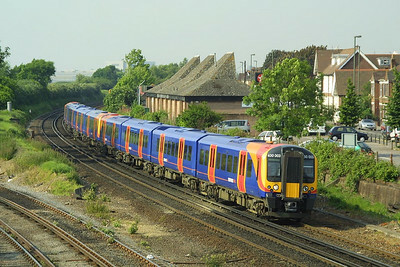 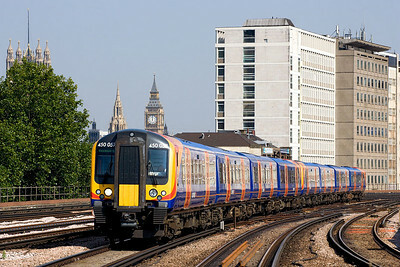 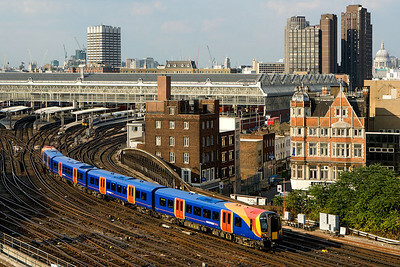 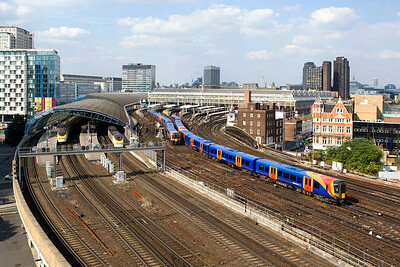 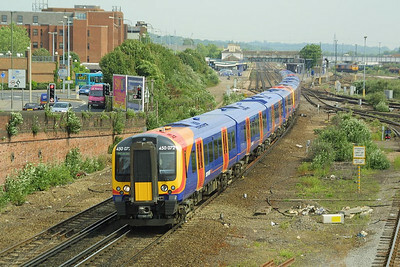 Desiro's 450061+450003 pass Eastleigh on 28/05/2004 with a London Waterloo-Southampton Central service. 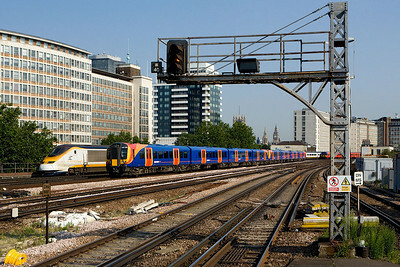 450003+450061 form a Southampton Central-London Waterloo service approaching Eastleigh on 28/05/2004. 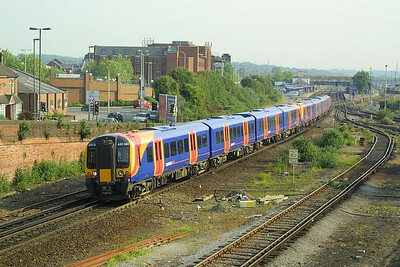 450072+450007+450100 speed through Eastleigh on 28/05/2004 whilst undergoing tests.